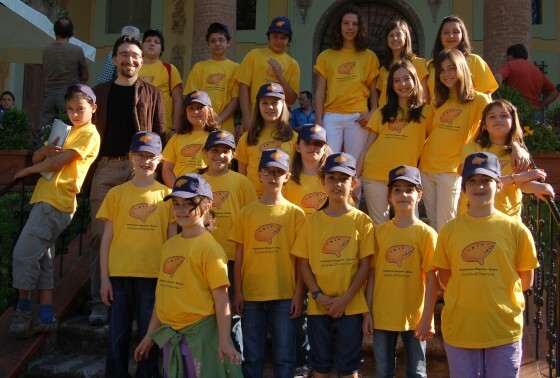 The Municipal School of Ocarina “V.Grimaldi” is free for children and young people in the first year of the course. The Basic Course is designed for students aged 7 to 10 years and provides a collective weekly lesson. The program ranges from the introduction to the ocarina music group and popular music practice and teaching of theory and music reading. The Intermediate Course, running from second year onwards, provides individual technical lessons and the establishment of a group of young ocarina. The Advanced Course contemplates the study of the repertoire and the gradual insertion of young musicians in the group OCARINA ENSEMBLE. It has established an Ocarina Septet and started a 5-year project at the School E lementare with 4 classes for a total of (80 pupils involved in the project about).